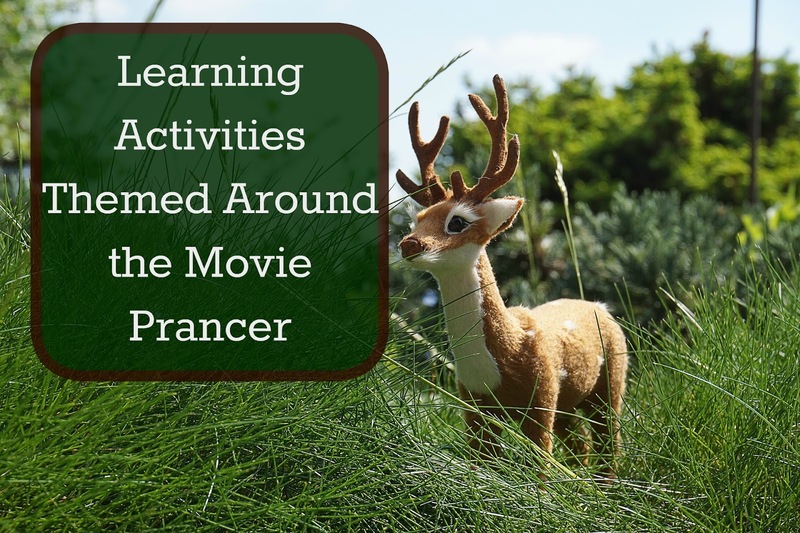 Watching Prancer today I made sure all our work was themed around reindeer. We're having so much fun with our movie themed days! We stared by playing a fun math game. I sat with Evan to help him read the cards but it was easily a game they could all play. I'm not all that sure it really taught actual math skills but the game definitely worked on following directions, a bit of logic and lots of fun. They begged me to play multiple times in a row. I finally put the game away after three rounds, but looking back on it I should have let them play until they were sick of it. Once again my agenda seemed to get in the way of my goal-- learning through fun, meaningful, memorable experiences. If you'd like to play Rudolph's Crazy Cookie Exchange, just click on the link. We then sat down together to read a few books but since I had the hiccups Ian offered to read one of the books to us. Both Alec and Ian took turns reading Bear's First Christmas. We also read Where's Prancer? and The little Reindeer. We loved the illustrations and stories of Bear's First Christmas and The Little Reindeer, but found Where's Prancer? to be a bit lacking. Bear's First Christmas is about a bear who wanders through the forest making friends, helping them out and they all stumble upon a family celebrating Christmas. The animals watch through window for a while and then all settle down together in a cave near their own special tree. It was really cute and touching. I think the favorite story of the day though was The Little Reindeer. It's about a tiny reindeer who accidentally stumbles into Santa's workshop, get's wrapped in all the hustle and bustle and is put into the sleigh. He's unwrapped Christmas morning by a boy in the city who takes good care of him all year until Santa comes and picks him up the next Christmas. It was so cute and so sweet. To follow up on our story the boys had a fun writing activity. I found this adorable reindeer craftivity and just couldn't pass up the chance to use it. The boys all filled in a worksheet template about their pet reindeer-- his name, where they found him, what their reindeer does and doesn't like, why their reindeer is special, etc. Then they each made picture of their reindeer. They came out adorable and I just love the names and answers they all came up with! We made reindeer peanut butter cookies after lunch and watched Prancer. We made up a batch of our favorite peanut butter cookies, rolled out some balls, flattened them with the bottom of a drinking glass and baked them as usual. As soon as they came out of the oven to cool we pressed pretzel antlers on top and three M&M's for eyes & noses then left them to cool completely until we were ready to eat them with a nice cold glass of milk. What a fun themed day of learning! Thanks for sharing with Party in Your PJs!